Police have halted exports by 21 meat processers suspected of bribing inspectors to issue them bogus health certificates for rotten meat. BRASILIA: Brazil, the world's biggest beef and poultry exporter, has been hit by stomach-churning allegations of corrupt practices in its meat industry. Here's what we know -- and what we don't -- about the scandal. The drama erupted Friday when police announced they had dismantled a network of corrupt health inspectors and meatpacking plants. One of the most eye-popping allegations came in a press conference by police investigator Mauricio Moscardi Grillo, who said some meat processing plants had been using "carcinogenic products" to mask rotten meat. So what were these products? One of them was sorbic acid, according to agriculture ministry inspector Daniel Gouveia Teixeira, who described it as "a decontaminating agent to reduce bacterial contamination and hide odors and other characteristics of rotten meat." But the agriculture ministry insists that sorbic acid and the other products in question are in fact common preservatives that are safe if used in the quantities allowed by law. One processing plant switched out the labels on expired meat to change the expiration dates, according to investigators. Police released a summary of a conversation between an investigator and the plant's owner in which the latter showed "no surprise" at the labels being switched on an entire shipment of pork, or the reprocessing of months-old meat for use in other food products. Investigators also found salmonella bacteria in products exported from one plant owned by the major multinational group BRF. Police described a wire-tapped phone call in which a BRF executive confirmed that European health inspectors had found traces of salmonella, which can cause food poisoning, in four impounded containers of meat. BRF said in a statement that it fully complied with regulations and that the type of salmonella found in the shipments was actually allowed under EU rules. Another shocking allegation is that BRF mixed chicken with cardboard, as one employee appeared to say in another intercepted phone call. But that claim is false, the government and the company now say. "There is no form of cardboard in BRF products. There was a huge misunderstanding in the federal police's interpretation of the recording," the company said. The employee "was talking about the product's packaging, not its contents," it added. Agriculture Minister Blairo Maggi himself called the allegation "insanity." So which countries import Brazilian meat? Brazil exported $5.9 billion of chicken and $4.3 billion of beef last year -- more than any other country. Two top customers, China and Hong Kong, have banned meat imports from Brazil. Chile, the sixth-largest importer of Brazilian beef, has also issued a ban. 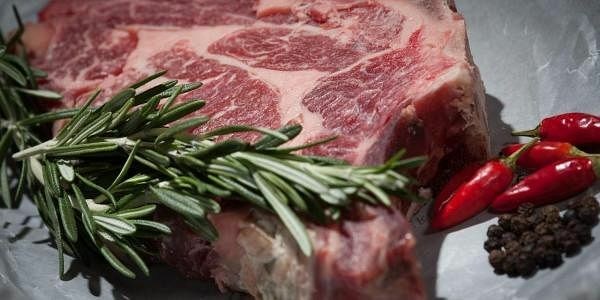 Other major importers of Brazilian beef include Egypt, Russia, Iran, Italy and the Netherlands. Top chicken importers include Saudi Arabia, Japan, the United Arab Emirates, Singapore and South Korea.